The law today is the rich man’s law. The courts are the rich man’s courts. Lawyers speak not of courts of justice, but of courts of law, and this law can be twisted by hirelings schooled in deft evasion for the service of any rogue who is able to pay the lawyer’s price. This system becomes the rich man’s tool. With a little tweaking, these could be the words of a current New York Times columnist. But they’re not. They’re part of a fictional op-ed; part of a script. When Mary Turner reads these words in a magazine, she’s inspired by them. If men can get rich on the backs of others, all within the letter of the law, then so can she. 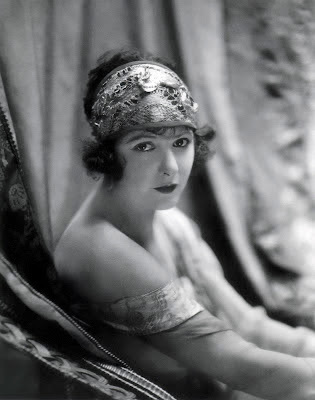 Mary (Norma Talmadge) spent three years in prison for a crime she didn’t commit. She’d worked as a shop girl at Gilder’s Emporium for five years before that, making a meager living. Alone, and with no other means of support, it seemed believable that the stolen goods found in her locker had been stolen by her. But her innocence is secondary. What matters is the severity of her punishment. The Judge in her case, inclined to pity her, was moved instead to deliver the maximum sentence, due to the intervention of Edward Gilder (Joseph Kilgour), the owner of the department store. Old Edward wanted an example set. Distraught—but also mightily pissed off—Mary swore to collect every bit of her pain and suffering out of Gilder’s hide. Talmadge, a decent dramatic actress with a relatively plain face, seems right for the role of a woman forced to prey on others to survive. Freed from prison, but unable to find work, she unites with a New York City con-artist and one of her friends from the slammer, forming them into a gang of non-violent hoods. They wine and dine—and probably more—various rich old fools, then sue them for ‘breach of promise’ when the time is right. All perfectly legal. ‘Breach of promise’ is indeed a legal term—I looked it up. Even as late as the 1920s, it was a means by which women might recover damages for loss of reputation resulting from a revoked marriage proposal—and, often, from their actions immediately following that proposal. Feeling assured of their futures, some women saw fit to give away that which could not be regained. But such things are only hinted at in this film. Within the Law yearns to say and show more than it does. 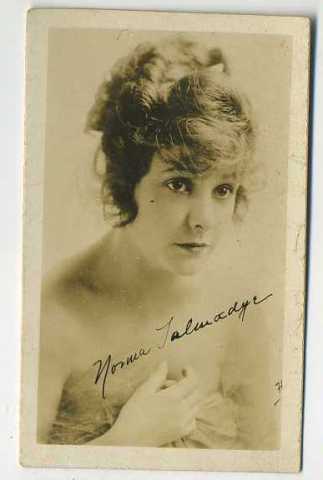 Talmadge, playing a woman pushed to extremes, forced by bitterness and circumstance to develop a hard shell, seems to fluctuate in intensity as the script requires. Sometimes she’s cold; sometimes she’s moralistic and vulnerable. While I could believe her capable of all three, I couldn’t believe that a woman hard enough to survive in the New York City underworld would risk displaying her softer side to anyone. That she does so seems more of a studio’s decision than a writer’s—as though someone feared to make Mary unpalatable for too long. This is a problem. The film teases viewers with something darker, then leaves them hungering for it, unfulfilled. I wanted more of Mary in the clink; more of Mary and her fellow extortionists playing the millionaires for all they were worth. Mary’s refusal to break the law should have signaled her burgeoning fanaticism; instead, it’s a brake on Talmadge’s performance—a means of assuring us that yes, deep down, Mary’s still a good girl. Well, you can’t have everything. And Within the Law has its bright spots, like Eileen Percy’s comic turn as Aggie, the gum-chewing, dimwit ex-con Mary uses to rope in an 85-year-old general. And Lew Cody, whose con-man, Joe Garson, loves Mary more truly than anyone else could, because he’s seen every facet of her being, and none of it makes him hesitate. Joe is the film’s most tragic figure, and a better film would have had more of him in it. Within the Law was adapted from a Broadway production, written about ten years before. Frank Lloyd’s direction reflects this: the film is stagey and the camerawork static, and the actors often stand around saying much more than the intertitles transcribe. These moments made me fidget. Occasionally I watch a silent film and think, ‘man, I’d like to see this remade. Here’s a story that deserves to be told all over again.’ These films are usually ones in which the idea is compelling but the direction, the setting, and the acting are not. Within the Law is such a film. Give me a modern-day Mary Turner, bleeding-dry the fat-cats and financiers of today, and I’d buy a ticket. 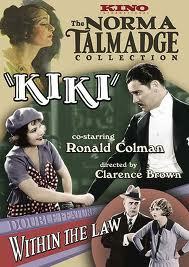 Within the Law is available as part of The Norma Talmadge Collection, a single DVD that also includes Kiki (1926). The DVD is distributed by Kino International. The piano score for this edition of Within the Law was composed and performed by the talented Makia Matsumura. Here, as always, her work elevates the film.